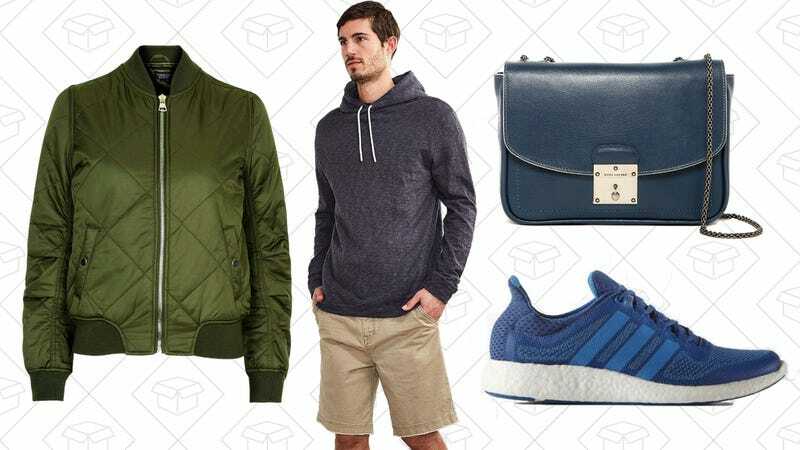 The Nordstrom Rack “Clear the Rack” sale, Adidas, Topshop (and Topman), Urban Outfitters and more are among today’s best lifestyle deals. And when I say “huge steal,” I’m talking $900 Marc Jacobs bags for under $200, men’s Timberland boots for $90, Ella Moss sweaters for $23. Honestly, some of the prices may make you do a double take. But once these things sell out, they’re gone. So jump on these insanely low prices ASAP. Both Topshop and Topman are having a 50% off sale, which means everything from bomber jackets to bowties are discounted. You could probably get a whole new wardrobe for an absurdly low price. Uniqlo’s making all shorts (both men’s and women’s) under $20, so it’s maybe about time you threw away those ones you’ve had since college. Mango, the Spanish (better) version of Zara, is having a huge sale on spring and summer styles. There are huge savings to be found on leather jackets,dresses, men’s jeans and shorts, and plus size styles. Get two pairs of shoes for $99 at Clarks, plus free shipping. This deal works for both men’s and women’s styles (and you can do one of each) marked with the 2-for-$99 tag. Even without buying two pairs, select styles are only $80. Use the code FRIENDS30 at Adidas and get 30% off your entire order. This works on pretty much everything, from shoes to clothing and accessories. If you spend $25+ at Sephora, you’ll automatically receive a free mini BECCA Highlighter (either liquid or pressed) for free. Even though it’s a mini, it’s a free, cult-fave product that everyone should try at least once.